According to Catalano (2013) ‘‘The model of granularity in music purchases has moved us from the album to the song … the model of granularity in proving skills or expertise is going to move from the certificate or degree to the badge’’. Assuming Catalano’s prediction becomes reality, could badged granularity provide recognition in the workplace? What forms of workplace recognition could a digital badge replace? John Dewey’s metaphor: “life is education” (Dewey, 1938) anticipates the emergence of digital badges and micro-credentials designed to recognise knowledge acquisition, certify proficiency and track achievements at work. How can digital badges and micro-credentials deliver authentic recognition in a contemporary workplace? 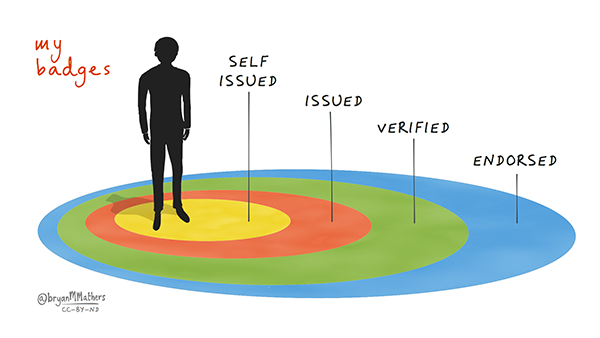 “Credentialing is a process used to verify that an individual (or organization) has met certain defined standards established by a group charged with creating and implementing these standards” (Styles, 1999). ‘Miniaturising’ the concept and process of credentialing was motivated by the need to recognise learning on a smaller scale than traditional higher education courses. Micro-courses explicitly model open design principles by offering multiple pathways that enable formal and informal learning approaches (Davies, Randall & West, 2015). The authors also speculate that demand for micro-courses and micro-credentials will rise as professionals become increasingly responsible for their own development. Ifenthaler, Bellin-Mularski & Mah (2016) reported that “currently 1 in 4 adults have an alternative credential of some sort, and those adults with digital certifications generally receive six times as many profile views on social media job sites”. Micro-credentials that recognise informal and formal learning will become increasingly prevalent and open greater opportunities for learners who might choose to learn flexibly, formally for credit, or informally based on interest. Pierce (2016) believes micro-credentialing utility and adoption will be improved through the design of ‘stackable credentials’ which support career transitions. “As employees move around, they should be able to have a portable credential they can take anywhere”. The term ‘digital badges’ was first coined at a 2010 Mozilla-sponsored conference (Hurst 2015). These tokens are “a presentation of an accomplishment, interest or affiliation that is visual, available online and contains metadata including links that help explain the context, meaning, process and result of an activity” (Casilli & Hickey, 2016). 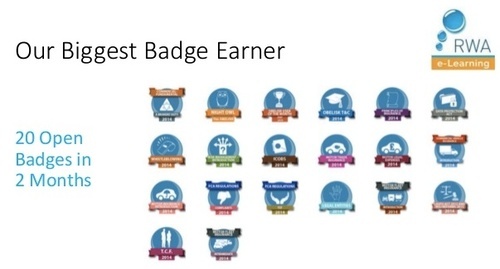 Initially, digital badges were viewed as trivial extensions of gamification environments; however, more recently digital badges have been positioned as (non-trivial) expressions of micro-credentialing (Hurst, 2015). The Alliance for Excellent Education believes the term ‘micro-credentialing’ has been co-opted to demonstrate the use of digital badges in non-traditional educational settings, such as Coursera and Edx MOOCs (Hurst, 2015). Badges can also be used to provide a well-rounded picture of employee competencies, skills and other important verifiable information to employers. Consequently, Hurst (2015) proposes that digital badge use in workplace settings may emerge as the most prominent area of adoption. Bowen & Thomas (2014) report the following issue badges: NASA National Oceanic & Atmospheric Administration, US Department for Veteran Affairs & Education, Corporation for Public Broadcasting, Disney Pixar. Jovanovic & Devedzic (2014) believe the open badge format extends the utility and value of digital badges by encouraging learners to verify interests, competencies and achievements through credible organisations. The Senior Director of Mozilla’s open-badge platform envisioned the primary adopters would be “workplaces that had gaps in the way they recognised informal learning” (Bowen & Thomas, 2014). Willis, Flintoff and Mcgraw (2016) argue that badges now occupy a central role in contemporary credentialing systems because they use specialised and embedded coding to capture and combine formal learning outcomes with evidence of informal learning achievements. Unlike traditional badges, open digital badges can store dynamic data that can be kept current and even expanded. Open badging technology encourages people to communicate and exchange credentials. Fontichiaro and Elkordy (2013) suggest that the credentialing potential of open badges can be extended by including learner objectives, specified tasks, and how related badges act as prerequisites for a higher level of recognition. This type of credentialing supports the development of the meta-badge which would recognise the achievement of different lower-level badges (Beattie, 2014). A system of badges and meta-badges leads to the creation of a badge hierarchy (Myllymäki & Hakala, 2014) and this hierarchy could replace traditional university degrees (credentials) with nanodegrees. 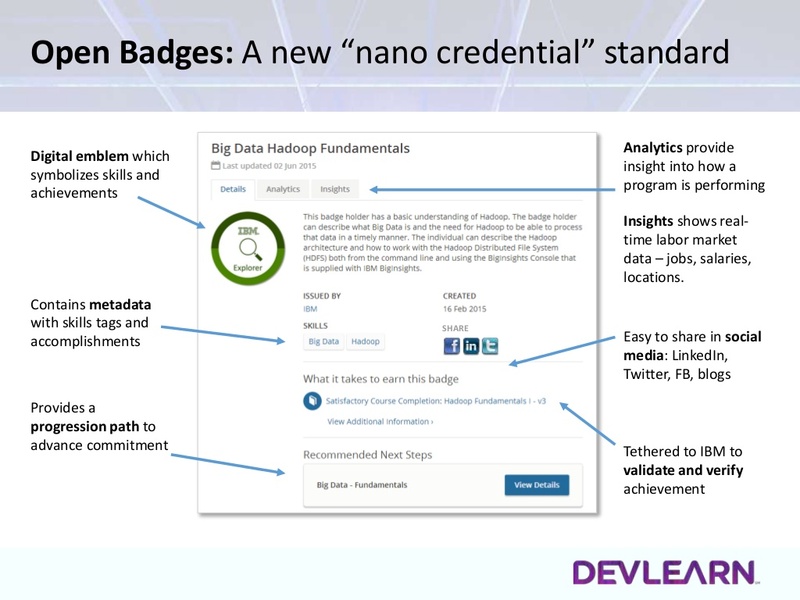 The structure of a ‘nano-credential’ is summarised in the following diagram (DevLearn, 2015). What’s so special about open badges anyway? Badges allow individuals and organisations to track the development and mastery of ‘embedded outcomes’ (such as critical thinking skills) that span formal training sessions and workplace experiences (Bowen & Thomas, 2014). Some argue badges are ‘more plausible’ than traditional credentials because they contain metadata and links to evidence – providing better indicators of a person’s skills or knowledge than traditional proxies. Casilli & Hickey (2016) describe digital badges as ‘transformative’ because the information contained in badges is developed by issuers and then accumulated and displayed by earners. These authors argue that the most informative aspect of any badge is the earner-specific evidence associated with it. The ‘specialness’ of badges is anchored to the concept of public credibility. This is achieved by earners sharing, displaying and annotating badges through social networks, emails and websites. It is also possible for badges to prompt the earner to pursue badge-driven re-certification, newly available professional development, and additional learning possible because of the badge (Grant, 2016). Ellis, Nunn & Avella (2016) posit that most employees express a need for recognition from supervisors, co-workers and clients. Brun and Dugas (2008) identified a lack of recognition as the second-largest risk factor for psychological distress in the workplace. Finally, Applebaum and Kamal (2000) found that workplace recognition has a positive impact on organisational productivity and performance. Historically, employees have been recognised for achieving important goals in the workplace such as personal safety goals or exceeding production targets. Recognition of these milestones came in the form of pins, certificates and workplace titles. 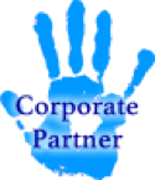 This recognition focused on what the individual did for the organisation and its shareholders. Badges could be used in the same way. Dudek, Gamret, Peck, and Zimmerman (2014) posit that digital badging could meet the recognition needs of employers and workers by summarising and acknowledging individual workplace achievements with digital symbols in public displays. A significant volume of open badge literature tends to amalgamate the concepts of recognition, learning and motivation. Goldberg (2012) views digital badging systems as “almost exclusively motivational tools”. This view is supported by Schwarz (2016) who reports on the use of digital badges to motivate Japanese medical professionals undertaking an English language course. Treehouse Island Inc (2016) motivated learners by embedding ‘learner-controlled challenges’ within digital badges.In this way goals were broadened and learners were encouraged to move outside their comfort zone and learn topics they might otherwise have avoided, thus creating self-motivation. The assumption that a learner’s pursuit of a badge is its motivational strength takes a limited view of the possibilities (Cucchiara et al., 2014). Using badges to “catch learners doing it” prioritises ‘recognition’ over ‘motivation’ (Curran, 2014). The bias of examining the motivational potential (or benefits) of digital badges tends to position ‘recognition’ as a by-product of or catalyst in the motivational process. This paper acknowledges the connection between motivation and recognition but attempts to isolate and prioritise workplace recognition as the objective of implementing digital badges. The following section illustrates the different ways in which digital badges have been used to support workplace recognition. As previously discussed, digital badges can be used to recognise workplace proficiency. 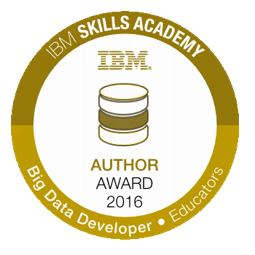 An example of this ‘recognition practice’ is provided by Aberdour (2016) who reports on an open badge program launched by IBM in 2015. The program was designed to provide a means of verified proof of achievement – the metadata accompanying each badge outlines the rigorous process required to achieve a qualification. A simple Internet-based search quickly surfaced other IBM badges, examples of which are included below. 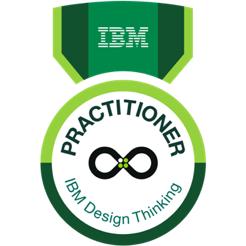 This indicates IBM is exploring the potential of badges to provide recognition of workplace proficiency. 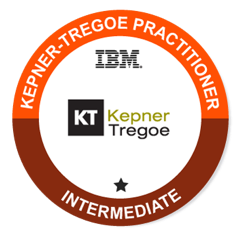 Based on the IBM example provided above, it appears that workplace recognition of proficiency can be achieved using digital badges. However, beyond initial certification a growing proportion of workers need to broaden their skill sets and develop knowledge in more than one disciplinary area of practice. Lewis & Lodge (2016) describe the rise of the “T-shaped professional”. Digital badges and micro-credentials could be used by these professionals to prove breadth and depth of proficiencies. Badges reroute pathways to job advancement, creating a new currency of educational power. Digital micro-credentials, held in perpetuity as an open learning artefact and consumed by no one and everyone, are an alternative means to recognise knowledge and skills. In this way upskilling recognised through a badge becomes the apparatus of democratisation. The Scottish Social Services Council (SSSC) uses digital badges to raise standards of practice among the social service workforce, registering people who work in the social services sector and regulating their education and training. 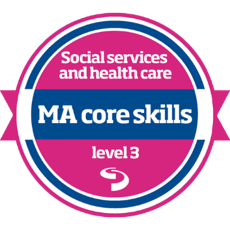 SSSC badges are typically awarded as part of professional development events to those who are able to demonstrate they have applied what they learned. The system relies on self-service in that workers have to make an application for a badge via a badge portal and must submit appropriate evidence (Aberdour, 2016)). 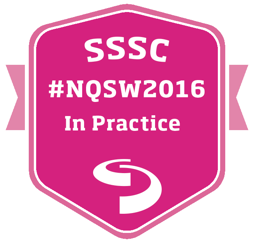 The most popular SSSC badging strategy is based on a series of three badges for each training event. Bronze badging is awarded for attendance. Silver badging requires reflection – users must submit 50–100 words describing how they plan to apply what they learned in their workplace. Finally, a Gold badge is awarded when the user submits some evidence of workplace application (Aberdour, 2016). It is estimated that informal learning accounts for up to 75% of learning that occurs within organisations (Jovanovic & Devedzic, 2015) and it is an important means by which employees continually update their knowledge and skills to adapt to changing situations. Law (2015) researched the use of badges to support informal learning – 84% of informal learners gaining a badge declared that it gave them a sense of achievement while 58% declared it provided motivated. Importantly, 39% of badge earners declared they would share their achievements with their employers. Law (2015) also found that the badges provided a vehicle to transition learners from an anonymous informal learning world to one of identified informal learning experiences. Through the use of badges learning became more visible and recognisable. Aberdour (2016) describes how digital badges are used as part of the performance appraisal process. The RWA Group supports financial advisors and brokers with regulatory training and compliance. RWA delivers training and assessment services based on the Open Badges compliant Moodle LMS. Initially badges were awarded for signing up to the training and competence system; however, now its badge program includes a range of criteria-based awards such as a learner of the month. Users are encouraged to share their badges during staff appraisals and interactions with customers. Stewart’s (2015) research also indicates badge programs facilitate the submission of evidence connecting learning to employee performance. 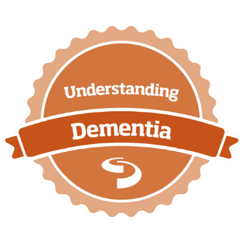 As an example, social care workers have embraced the idea of voluntarily submitting evidence of the performance impact of their learning in exchange for a digital badge that recognises their skill and is portable beyond their current employer’s systems. In addition to badges being a method of certification they are also social media innovations and carry with them the ability to rapidly scale trust among ordinary people so that total strangers can build “reputation capital” (Botsman, 2015). Credibility is the quality of being trusted and believed in, while authority is about having the power to make decisions and enforce behaviour. While digital badges can invoke authority, they can also promote credibility in online communities (Grant, 2014). The reputation captured in badges can be used in the workplace to support secondments, assignment to special projects or even promotions and can even be used to produce “self-issued” badges. Self-issued “badges” offer talking points for a job interview allowing the interviewee to speak about accomplishments and interests that might not otherwise arise in conversation (Rughinis, 2013). It is possible that if badges fail to gain value as credentials, they may emerge as credible sources of reputation. Digital badges can also recognise ‘membership’ in trusted networks. An example of a trust network is the Android developer ‘nanodegree’. 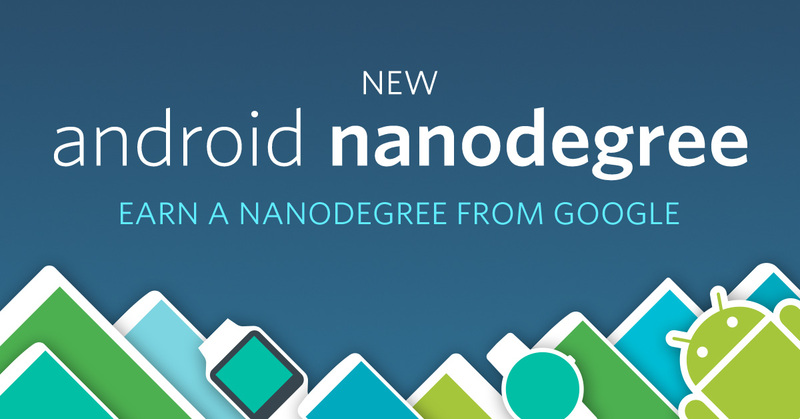 Google enlisted Udacity to train Android developers. The Udacity MOOC platform serves roughly four million registered users, with about 60,000 working on a variety of nanodegrees at any given time (Potts, 2015), many of them designed by industry leaders seeking specific types of knowledge, abilities, and skills. This industry-driven micro-credentialing training programs doubles as a trust network because badged learners gain entry to communities of practice along well-organised educational and career pathways with a variety of sector partnerships and governance already established (Hansen, 2011). Achor (2016) has researched the use of digital platforms, such as social recognition programs, to improve happiness and business outcomes. These studies suggest that effective digital recognition programs can help nurture praise-based conversations in the workplace, elevate return-on-investment, support higher levels of employee performance and engagement and increase net promoter scores and customer loyalty. Many current workplace learning programs combine informal learning, formal training, knowledge sharing and collaboration, social learning, coaching and mentoring. The next-generation of workplace learning must combine these elements by breaking out of the traditional learning management systems which remain in widespread use. Badging systems glue these emerging learning architectures together and can help create a workplace learning culture that is efficient, engaging and effective. Discussions around the value proposition of badges as a recognition ‘tool’ often draw on a badge’s ability to reflect the full scope of learning that anyone develops: “Digital badging recognizes learning and growth wherever it happens and helps people connect their accomplishments across institution types” (Fontichiaro & Elkordy, 2015). Badges cast out the net wider than the “traditional sites of learning” and badges help everyone accept “that any place can be a site for learning”. However, digital badges offer several other advantages when positioned as a recognition tool. Digital badging allows individuals to mobilise all the years of learning, experience and recognition that is normally abandoned when they switch jobs. As Guzman (2014) explains, ‘‘If resumes are a bunch of claims, badges are a bunch of evidence” – badge metadata makes the evidence underpinning recognition visible to everybody. The flexibility provided by badges could support an organisation-wide recognition program allowing individuals to issue badges. A candidate seeking recognition can then obtain the required badges from any authorised issuer. After obtaining the required badges, the candidate can then use the recognition to pursue career-progression opportunities. Even with a 1400% increase in badges displayed in the Mozilla backpack between 2012 and 2013 (Belshaw & Riches, 2014), other data suggests significant challenges will impede the use of digital badges as a mechanism to establish and sustain workplace recognition practices (Hickey, Willis & Quick, 2015). Based on ethnographic research of 25 badge systems the core issue is the ‘value problem’ (Hickey, Willis, & Quick, 2015). The badge’s value depends on an individual’s perception which directly impacts attainment desirability. Not surprisingly, not all badges are equally valuable to all populations. Connected to the issue of value is credibility. Many badging systems lack credibility because they do not control who is authorised to issue a badge or clearly specify achievement criteria. Badge credibility rests on the rigor of the assessment criteria and trusting those authorised to issue a badge (Davies, Randall & West, 2015). The issues of trust and credibility are connected to scepticism of new technologies. Digital badges are somewhat unwieldy right now primarily because of inexperience defining, creating, and utilising them (Palloff & Pratt, 2001; Rice, 2014). Without careful design, digital badges could become a digitised “do it just to earn it” approach. In effect, “badge-grubbing” will become the reason for getting involved in earning digital badges (Fontichiaro, 2014). At some point in the process, data and activity levels will reach a point where auditing and controls are required. This requires additional staff, training, and control processes that another unrelated organisation must perform. Poorly implemented badging systems also create an ethical (and possibly legal) quandary. Organisations that invite learners to engage with the promise of an achievement badge really must consider the implications of offering an essentially worthless, untrusted, or unrecognized marker of achievement. “Digital badges are gaining traction and are no longer considered a technology of the future” (Foster, 2013). Research reveals that business is a fertile area for digital badging (Antin and Churchill, 2011). Clearly digital badges can be used to recognise workplace proficiency, professional development achievements, performance outcomes and memberships within communities and trusted networks. Digital badges can transform anonymous, invisible informal learning into recognised experiences with agreed value. It is even likely that digital badges will allow people to build ‘reputation capital’ in the workplace. These different forms of recognition drive individualised forms of engagement and help sustain workplace focused productivity, growth and innovation. Recognition through badges leverages the token’s inherent strengths such as mobility, transparency and flexibility. However, as with most changes of this magnitude, traditional philosophies, beliefs, and attitudes are being challenged. These challenges have the potential to erode the effectiveness of badges as an apparatus of workplace recognition. Further research and exploration is needed to ensure the disruptive nature of these challenges is minimised. Antin, J., & Churchill, E. F. (2011). 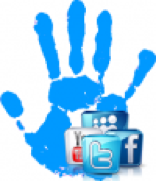 Badges in social media: A social psychological perspective. CHI 2011 Gamification Workshop Proceedings, Vancouver, BC, Canada. Belshaw, D., & Riches, T. (2014). Open badges: A new learning currency. 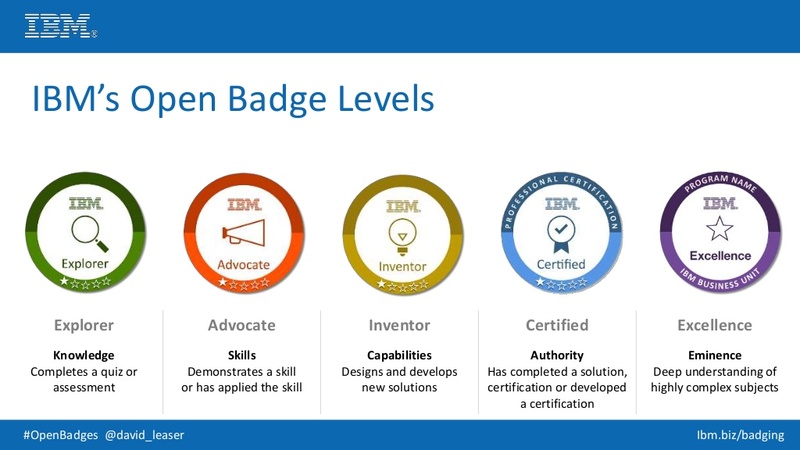 http://www.slideshare.net/timriches96/open-badges-a-new-learning-currency-tim-riches-dougbelshaw- learningtechnologies-29-jan-2014, March 15, 2016. Bowen, K., & Thomas, A. (2014). 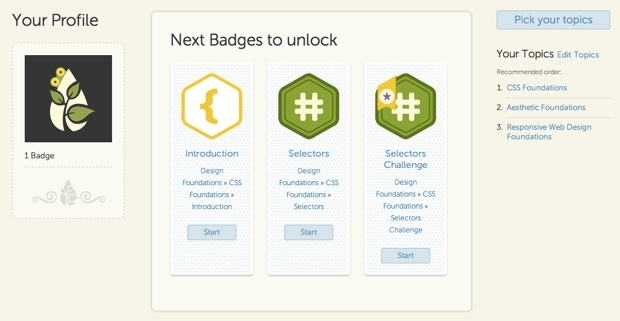 Badges: A Common Currency for Learning. Change: The Magazine of Higher Learning. 46(1).pp.21-25. Brun, J-P., & Dugas, N. (2008). An analysis of employee recognition: Perspectives on human resources. The International Journal of Human Resource Management. 19(4).pp.716-730. Catalano, F. (2013). Digital ‘badges’ emerge as part of credentialing’s future. Institute for Credentialing Excellence Digest, 2(1).pp. 1- 2. Cucchiara, S., Giglio, A., Persico, D., & Raffaghelli, J. E. (2014). Supporting self-regulated learning through digital badges: A case study. In Y. Cao, T. Väljataga, J. K. T. Tang, H. Leung, & M. Laanpere (Eds. ), New Horizons in Web Based Learning ICWL 2014 International Workshops, SPeL, PRASAE, IWMPL, OBIE, and KMEL, FET, Tallinn, Estonia, August 14–17, 2014, Revised Selected Papers (pp. 143–152). Dudek, J., Gamret, C., Peck, K., & Zimmerman, H. (2014). Personalized workplace learning: An exploratory study on digital badging within a teacher professional development program. British Journal of Educational Technology, 45 (6), 1136–1137. Fontichiaro, K. (2014). Digital badges: Part 1. School Library Monthly, 30 (7), 48. Fontichiaro, K., & Elkordy, A. (2013). From stars to constellations digital badges can chart growth. Learning & Leading with Technology, 41 (4), 12–15. Fontichiaro, K., & Elkordy, A. (2015, February 26). Chart students’ growth with digital badges [Web log post]. Foster, J. C. (2013). The promise of digital badges. Techniques, 88 (8), 30–34. Hansen, H. (2011). Rethinking certification theory and the educational development of the United States and Germany. Research in Social Stratification and Mobility, 29 (1), 31–55. Hickey, D., Willis, J., & Quick, J. (2015). Where badges work better. ELI. Hurst, E. (2015). 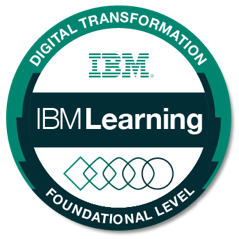 Digital badges: Beyond Learning Incentives. Journal of Electronic Resources in Medical Libraries. 12(3).pp.182-189. Myllymäki, M., & Hakala, I. (2014). Open badges in higher education. In L. Chova, A. Martínez, & I. Torres (Eds. ), EDULEARN14 Proceedings. 6th International Conference on Education and New Learning Technologies (pp. 2027–2034). Barcelona, Spain: IATED Academy. Palloff, R. M., & Pratt, K. (2001). Lessons from the cyberspace classroom: The realities of online teaching. San Francisco, CA: Jossey-Bass. Potts, A. (2015, September 5). Teaching tomorrow: Sebastian Thrun: The pioneer of Google’s autonomous cars wants to teach people how to face the future. The Economist. Technology Quarterly Q3. Rice, M. (2014). Ethical challenges of studying online learning curriculum. Curriculum and Teaching Dialogue, 16 (1/2), 131–134. Rughinis, R. (2013). Badge architectures in engineering education: Blueprints and challenges. Proceedings from the 5th International Conference on Computer Supported Education CSEDU 2013, INSTICC. Schwarz, S. J., “Digital badge adoption: earner’s perceived educational value” (2016). Graduate Theses and Dissertations. Paper 15076. Stewart, R. (2015, June 10). Interview with Robert Stewart about Open Badges program at Scottish Social Services Council. Styles, M. (1999). Credentialing as a global profession in progress: Part I. Measuring up. Quality assurance through credentialing Vol. 1: Global perspectives. Washington, DC: American Nurses Credentialing Center.